Barcelona is the kind of city that you can visit all year around, but there are several unique festivals and events that you might want to consider when planning your trip that will make your time here truly memorable. Here is an overview of some of our favorites. Once the Christmas season is behind us, attention turns to the celebration of a seasonal, Catalan vegetable: the mighty calçot. Not quite a scallion, not quite a leek, this local delight causes quite a stir around these parts, with thousands flocking to farmhouses dotted around the Catalan countryside to attend organised calçot parties, or calçotadas. Guests are invited to don plastic gloves and bibs, before mountains of barbecued calçot are delivered to the table, served up with delicious romesco sauce. It is quite a messy affair, but extremely good fun. 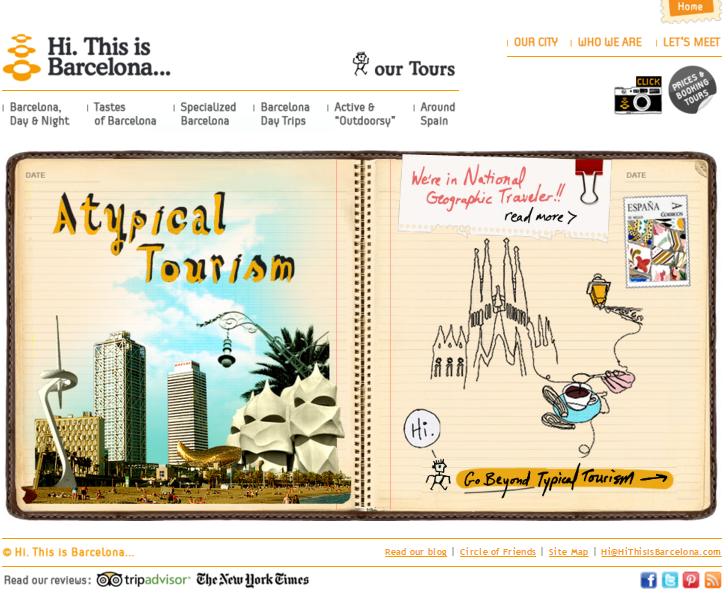 If you are in Catalunya during this season you should definitely make time to experience this slice of Catalan culture. For more information about calçots click here for a dedicated post taken from our blog archive. And to see calçot eating in action watch the video below. 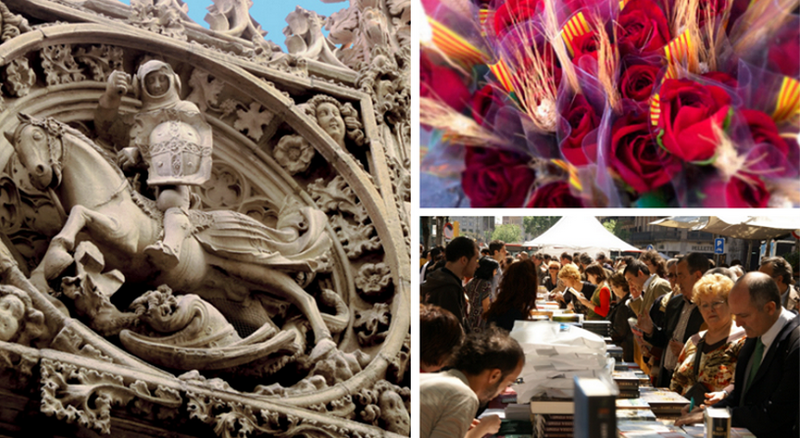 Move over Saint Valentine, here in Catalunya the most romantic day of the year is on April 23rd in celebration of Saint George (San Jordi), the patron saint of Catalonia. Traditionally this day is celebrated with the exchanging of gifts: red roses for the ladies, and books for the men! This date has now become synonymous with a celebration of Catalan literature, with many local authors waiting until April 23rd to release their latest works. It is not uncommon for these authors to even sign copies of their books at the many temporary book stalls that are erected in downtown Barcelona, especially along Rambla Catalunya. For more information about this festival and associated traditions click here for a post taken from our blog archive. Although this festival officially marks the birth of Saint John The Baptist on June 24th, in reality the celebrations take place during the evening of June 23rd, and generally people consider it to mark the summer solstice. 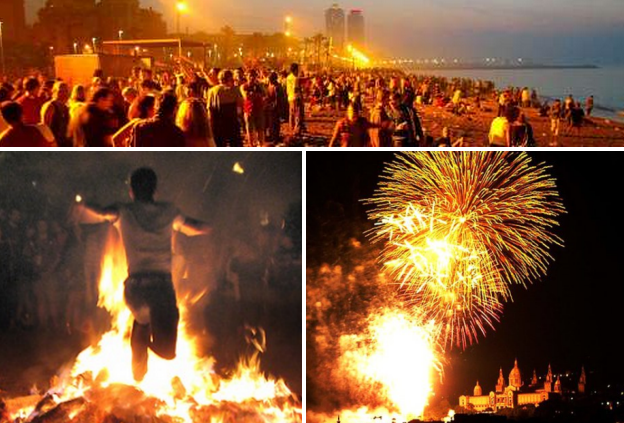 During the evening the whole city of Barcelona comes alive, with fireworks, street parties, bonfires and most importantly beach parties, which go on into the early hours. For more information about the Festa Major de Gràcia click here for a post taken from our blog archive. For more information about this festival and associated traditions click here for a post taken from our blog archive. And watch the video below for a glimpse of what happened at last year’s La Mercè. This entry was posted in Barcelona and around, Catalan Celebrations, Catalan Traditions, Exploring Catalonia, Food and Drink and tagged Barcelona, Calçots Season, Catalan Culture, Catalan Traditions, Catalonia, Catalunya, Festa Major de Gràcia, Festes de la Mercè, San Joan, San Jordi. Bookmark the permalink.